As much as Tingle divides The Legend of Zelda fanbase, the stories he continues to provide the Nintendo community are priceless. During a chat with Kotaku about Dillon's Dead-Heat Breakers, Nintendo producer Kensuke Tanabe revealed the quirky fairy hopeful - starting out in Majora’s Mask - was going to be the star of a horror game way back in 2010. Looking back eight years ago, we were developing a horror game with Vanpool that starred Tingle as the main character, but that project was canceled due to a variety of reasons. Nintendo kept in contact with the Tokyo-based studio who had previously worked on Freshly-Picked Tingle’s Rosy Rupeeland for DS. This led to the development of a prototype game where the main character rolled about and was controlled by a “slingshot” control method using a stylus and touchscreen. We had some discussion and came up with the setting and the main character through the association of Rolling => Armadillo => Texas => Western, and Vanpool also liked that idea. And so, a new IP, ‘Dillon’ was born. If it wasn’t for the cancellation of Tingle’s horror game, we may have never got Dillon’s series on the 3DS. Are you glad to hear this, or would you have preferred a horror game starring Tingle? Tell us below. Every game he's in is a horror game! Didn't they release a Tingle horror game? tingle's rosy rupeeland kept me up at night. 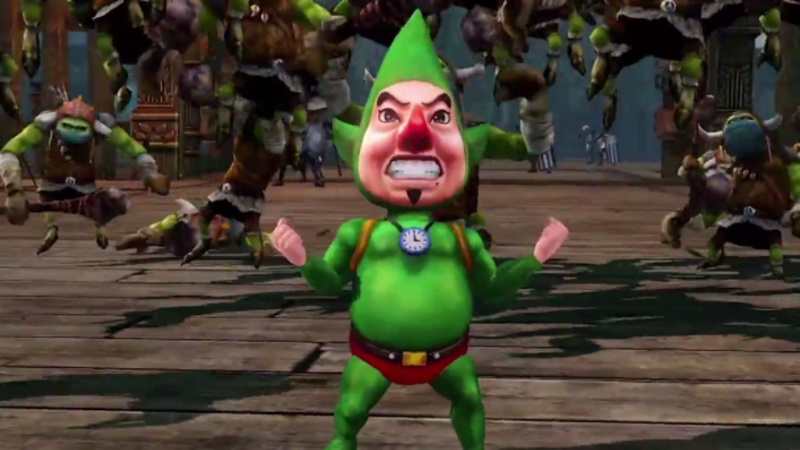 Well, Tingle is properly terrifying, but I'm really glad they went with Dillon instead. It'll spawn a horror-themed Zelda spinoff series called Spine Tinglers. Dillon's Rolling Western was kinda cool but damn, this could have been greatness. Anything Tingle is in is a horror game when he's around. Wait a second, back up a moment. There was going to be a Tingle HORROR game made by Nintendo?! Please let Dillon be a fighter in Smash...I mean with his new look and boost engines he could be really cool! Possibly the single most bizarre headline I've ever read. I`m pretty sure Tingle will become Japanese folklore. Didn't they already release Majora's Mask? Aw but I really want a Tingle horror game, they could had make it took place after Majora's Mask in the darker timeline where the moon crush everyone and had Tingle as the ghost of the Link that died. I had to remind myself it wasn't April 1st at that headline. You guys better make that damn tingle horror game, or at least give my boi a game for the west. The 2 Tingle games for DS were amazing. Way better than Dillon’s games. Im so sad this will never see the light of day. To be honest, even if you hate the character, the games have that bizarre Nintendo spark like WarioWare. Creative although terrifying, memorable and fun. Would have loved to see that happen. By the way: If you played Tingle's balloon trip of love (I played a bit so far, thanks to the rom and a English patch) you know that there is a horror chapter in there. Some scary stuff going on, in a funny way of course! I am one of the rare Tingle fans (trust me, all 5 of us actually exist) and this... sounds glorious. Heck, one of the only two games I ever imported was Tingle’s Rosy Rupeeland... I loved the humor, the gameplay itself was sorta grindy though. Nonetheless... this would either work really well or not at all. It’d be tricky to pull off, Tingle’s eccentricities would either be just unnerving enough for a horror title... or too odd that it pulls the player out of the immersion required for horror. ...unless this is like just gruesome horror which might be a bit much... unfortunately, it could be the best game ever and due to the poor reception the kooky little reincarnated fairy receives, it could easily be passed over. I see the reason people are so offput by him. But I find him charming, like he’s a 35 year old loser that is just trying his darnedest to be... something? I can only dream of matching that enthusiasm! @ShadJV @fafonio hey, we’re 3! I'd have probably been a lot more inclined to give that a look than that Dillon thing and I don't even like Tingle. I am so pissed, Tingle is the best character. Tingle would probably not fit in a horror game, in my opinion. I'd love a sequel to Tingle's Rosy Rupeeland. It's a great game. @ShadJV I’m #5!! We’re all here!! @JayJ Yes. Yes he is. Well that wasn't a headline I expected to read today. I would have prefered the Tingle Horror Game. Vanpool made the best DS game by far with Tingle's Rosy Rupeeland. It was so much better than Phantom Hourglass and Spirit Tracks. I don't know if ESRB would even be able to rate a game of such horrific imagery. It would have to be one of those AO18 rated games. @Tyranexx "The Tingle Within" Thank you, now I'm picturing Tingle as a chest-buster from Alien. Thank you very much for that. I swear I don't know why Tingle gets so much air time. I think he should stay the joke, 30-something year old, fairy wannabe character he was intended to be, and just play off of that. Everything doesn't need to be spun off of everything ALL the time. Slightly off-topic, I'm surprised Dillon hasn't made it into SSBU... Or will he...? @Tingle_The_Great You would do that because you're evil, not because of money. This is why real gamers play Playstation. u__u smh, Nintendo. @HobbitGamer @Asaki @clvr @fafonio yo my peeps! @Tingle_The_Great I was waiting for tou ti make my day. @HobbitGamer Nono, Tingle vs. Predator. G.O.T.Y.! G.O.A.T.! @MattFox I’m not evil! Just misunderstood. And perhaps a little bit nefarious. @clvr I didn’t know I had fans. I thought the general consensus was that I was a creepy weirdo. Thanks! @ShadJV I'm not a loser...……..right? @Tingle_The_Great nope, you’ve proved your greatness! Don’t listen to the naysayers! 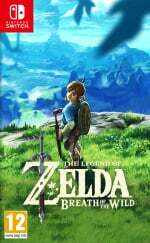 @HobbitGamer: I'm not sure if the world is ready for Tingle Trap. @Tyranexx You know....the image of the Tingle chest-buster doesn't seem so bad, now, after all! @NEStalgia: I'm happy to supply the nightmares. I even have a copy of your Rosy Rupeeland to show my love!